home / Multimedia / The Holy Land in news / “A window on Gaza”: a project for training young journalists ..
How can the Gaza Strip – a place which by definition is closed and with few links to the outside world – convert itself into a window to the world? What type of world can be seen from the windows of the houses in Gaza? How many of these still exist after the wars which have so affected this strip of land? Who are the people looking outside through these windows? What sorts of things do their eyes see? “A window on Gaza. A project for training in journalism” is being carried out in collaboration between ATS pro Terra Sancta, ALMED (Postgraduate School of Media, Communications and Performing Arts at the Catholic University of the Sacred Heart in Milan) and Al-Azhar University in Gaza. This training course for young students in Gaza aims to recount, through sounds and images, the stories and histories that can be picked up at the windows in Gaza. The project will not only help to strengthen the voices of those who live in Gaza amidst the multitude of daily dramas, but also to highlight that Gaza has many beautiful things to offer which are frequently obscured by the smoke of bombardments. Twenty-five students with diplomas in Journalism and Public Relations from Al-Azhar University in Gaza have already taken part in an intense week-long workshop directed by two Italian professionals from the Masters program in Print, Broadcasting and Multimedia Journalism at ALMED – Postgraduate School of Media, Communications and Performing Arts in Milan. 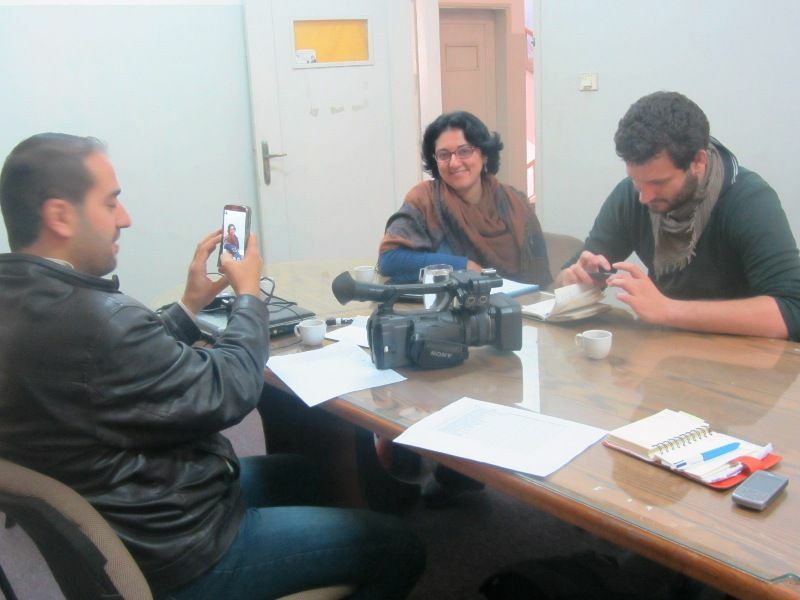 Over the coming months the Gaza youths will work on producing journalistic reports, filmmaking and web documentaries. Their new skills will be stimulated by using smartphones and social networks to create and disseminate professional journalistic output. A WordPress platform and a page on the principal social networks will be created, and will soon be visible online, in order to share the content created.